← Sunday Smack: What Will Trump’s “Deal” for Black Colleges Look Like? 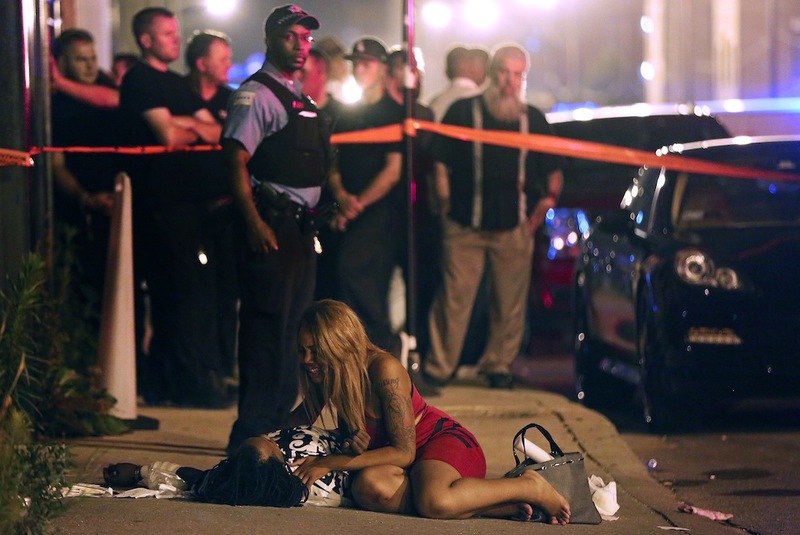 I’m going to break an editorial rule for this blog and cover more than one main idea — namely cooning and lowering the City of Chicago’s crime rate. You place the blame Donald Trump’s debut Black History Month event as President of the United States for my exception. I don’t instantly think every African descendant who meets with #45 is competing for the Stepin Fetchit “Grin Harder” award. Kwame Toure taught us long ago to pay less attention to the liaisons someone creates and focus on their consciousness. A woke state of mind will ultimately do what’s right for humanity. Should you be reminded that Moses was raised in the Pharoah’s palace … ? Booker T. Washington appeared to publicly chastise his race to improve their social standing through personal initiative and avoid political action — while happily collecting donations from charmed wealthy folks for Tuskegee University and then quietly channeling support to political action groups. This is not to say that all Black attendees at Trump’s Black History talk have any respectable level of awareness and compassion for their race. Time will tell. In some cases, it already did. While the President — who perversely seemed to share his take on African American History more than any of his handpicked Black conference table audience — continued his Chicago fascination by once again hinting at a federal overrun of the city’s Black parts, and Rev. Darrell Scott tearing his backside trying to please #45 by attempting to leap the wall of a tale he concocted from his imaginary “gang thugs” rolodex, we’ve received confirmation of how no one wants to discuss a solution to Chicago’s murder problem that’s less expensive than SWAT teams, fed occupations and Homan Square. How about professional skills training, jobs and financial literacy? I wrote about this idea before. The University of Chicago tracked the activities of three teenaged groups from high-risk neighborhoods in 2012, where 20 percent of the youths in the study had prior arrests. Two of the groups were given eight-week summer jobs. The results were predictable — well, to most of you. The two “jobs groups” experienced a 43 percent reduction in crime up to one year later. Take a good guess at what happened to the jobless group. We’re talking about a six-week investment of USD 124-206 per child, per week during one summer to avoid the high cost of year-long police raids and incarceration. The City of Chicago and the federal government would still see lower social costs if they threw professional skills training, longer term employment opportunities and financial literacy in the blend. This entry was posted in Politics, Race, Society and tagged black history, chicago, crime, trump. Bookmark the permalink.